The Pearl Izumi Men's Select Barrier WxB Jacket is fully seam-sealed and uses a 2.5 layer waterproof / breathable fabric with a woven polyester face and an activated-charcoal backing for excellent durability and moisture transfer. Its cycling-specific cut allows for complete range of motion on the bike while also providing full coverage with a drop tail and stand up collar. Elastic cuffs make the Select Barrier WxB work well with gloves, and there's a zippered rear pocket with a flap cover to ward off rain. 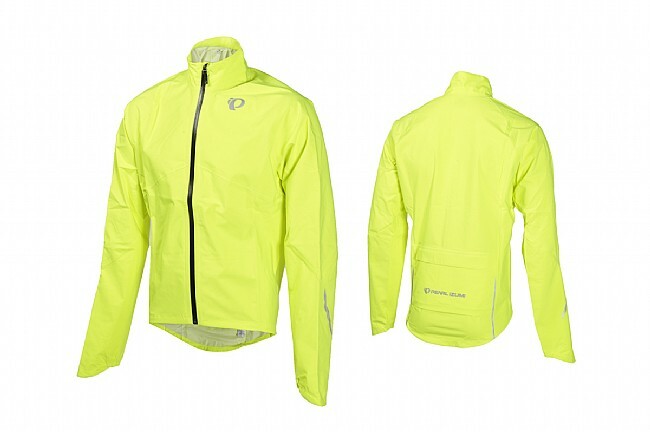 Features reflective elements for increased visibility. Available in multiple colors.